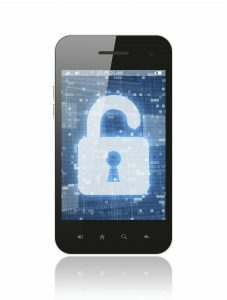 Smart phones are changing the way security professionals approach their work. Security is changing a lot these days, and it’s only going to continue to change as technology continues to evolve. Smart phones have come a long way since the little flip phone that could tell you the weather. Now these amazing devices are tracking our heart rate, managing our bank accounts, and thankfully, they’re still telling us the weather. However, how do smart phones and the apps that come with them are going to change the way we handle security. Let’s take a look at how. We are transitioning to the cloud and smart phones are instrumental. In the past, card readers and other verification equipment were displayed at entrances and turnstiles, but soon these things will simply be integrated. As we transition to using cloud technology, the reader at the door will slowly become a thing of the past because the cloud itself will eventually become the reader and it will interact with smart phones. This change will affect access control in several ways. The first is that the need for installation and wiring will slowly fade out. The second is that this will also be much more cost effective, which will open the door for more security implementation for companies who need to invest in it. Security professionals are going to become much more efficient. Physical files have their place, but the majority of documents either are or are in the process of becoming entirely digital. When it comes to handling security initiatives or access points, all security professionals need to do is send an email or forward other credentials. All of this can be done right in the palm of your hand with the use of smart phones, allowing for faster and remote communication. Not only that, but security professionals may be able to monitor the whereabouts of smart phones and their users in real time while they are within the perimeter. Though this may seem invasive, it may be incredibly useful for paramedics or other emergency responders to help locate people who need help. The possibilities are endless with smart phones in security applications. Do you need security solutions that are ready to handle changes? We can help! Located in Columbia, Maryland, ARK Systems is dedicated to providing unsurpassed quality and excellence in the security industry, from system design all the way through to installation. We handle all aspects of security with local and remote locations. With over 30 years in the industry, ARK Systems is an experienced security contractor. Trust ARK to handle your most sensitive data storage, surveillance, and security solutions. Contact ARK Systems at 1-800-995-0189 or click here today. Check us out on Facebook and Twitter as well! This entry was posted on Thursday, September 29th, 2016 at 2:59 pm. Both comments and pings are currently closed.